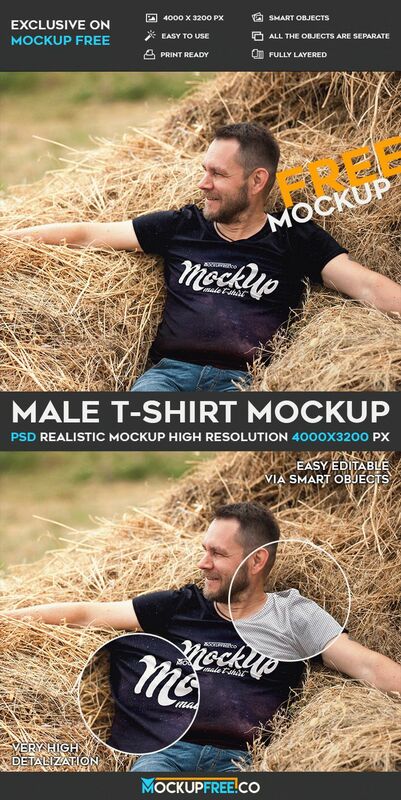 We are really glad to offer you our new Product – Male T-shirt – Free PSD Mockup! There is a photo of a handsome man on the beautiful background. If you think that this free PSD mockup is necessary for your project download it and customize it the way you wish!